Born in Sarajevo, in the heart of the Balkans, Miron was forced into exile in the early ’90s due to the horrible civil war in his country. Immigrating to Canada as a teenager he was exposed to jazz and from there he was certain this would be his calling. At 25 years of age Miron was contracted by world renown CIRQUE DU SOLEIL where he was selected as the original cast member, playing trumpet and guitars on then newly created show ‘Kooza’. These 8 years spent with the Cirque changed the path of his life forever and took him around the globe performing over 2000 shows in over 40 cities worldwide in prestigious venues like the Royal Albert Hall in London, and on television like the Late Night Show with JAY LENO in Los Angeles. Besides his involvement with Cirque du Soleil, Miron has performed at some of the world’s most important jazz festivals like the North Sea Jazz in Rotterdam, ELBJAZZ Hamburg, Montreal Jazz Festival and Sarajevo Jazz Fest to just name a few. 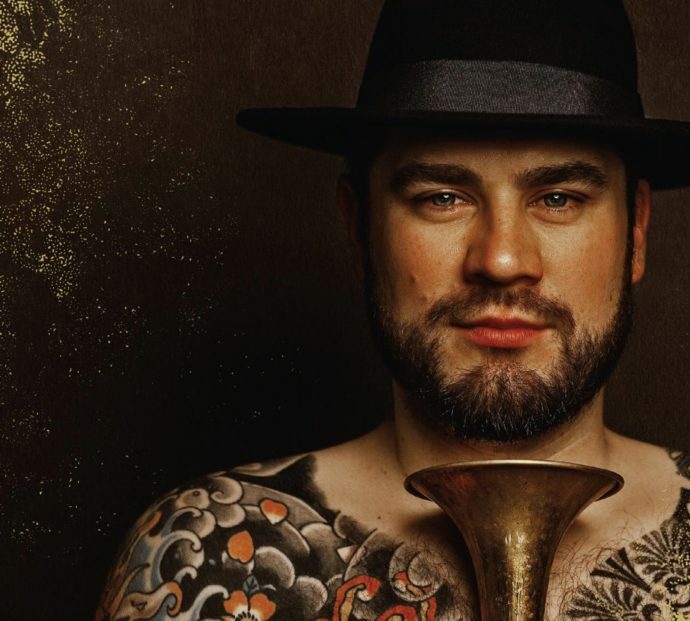 Most recently Miron was the trumpet player of ‘Delirium Tremens’ an album by Rosario La Tremendita, which was nominated for a Latin Grammy for ‘Best Flamenco Album’ of the year 2018.